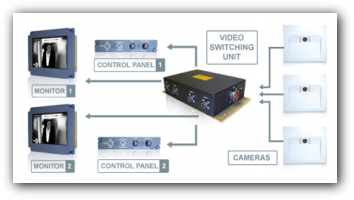 Video systems can prove very important for both aircraft security and safety. CabinVu: Provides the mandatory cockpit door monitoring delivering to pilots, through different cameras, live images of the complete area outside the cockpit. The IR illumination allows a perfect view even in low lighting conditions. CargoVu: This systems, providing video recording of the baggage and cargo hold areas, prevent thefts in the baggages and or mishandling and can be used as a proof of occurred events. SmokeVu: While fire and smoke may be extremely dangerous for an aircraft, the false alarms that could be generated by the conventional dedicated systems can be detrimental to airline operations. SmokeVu, with strategically located cameras, allow the crew to visually verify the situation in the area of the alarm and take the most appropriate action. FlightVu: The cabin crew has, with this system, a complete control of the entire cabin and is therefore able to monitor, and quickly react, to potential problems created by disruptive passenger or criminal behaviours as well as to improve the service offered to passengers. The recording capability may be used for subsequent analysis or demonstration. VIP System: The business aircraft are often left unattended in minor airports and are therefore subject to theft of objects on board or parts and can be intentionally or incidentally damaged without the crew being aware. 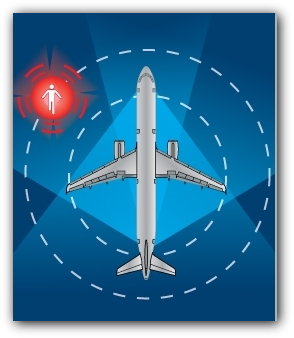 The system detects any movement occurring in the vicinity of the aircraft and starts recording the event so that, upon getting on board, the crew may exactly know if any dangerous or illegal situation occurred while the aircraft was parked.